﻿Bruce Goodman's "A new day"
Suddenly Christopher burst into tears. He was twenty-six years old. His wife, Raewyn, had died a year ago of a rare form of cancer. She was twenty-three. They had no children. This trip was a way of forgetting, a way of remembering, a way of recovery. 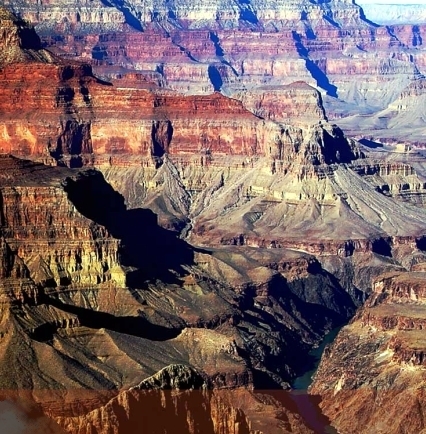 Now he was weeping in front of the majesty of the Grand Canyon. Like a child on a lonely walk. And why? Because he realized that the experience was meaningless unless it could be shared. He had no one left to share it with. No one to tell. He drove away from the Grand Canyon. He was grateful. He felt renewed. Raewyn had given him a final gift; the grace to let go; the grace to move on.